Join us for Table Top @ the Library where each month we feature a new table top game! 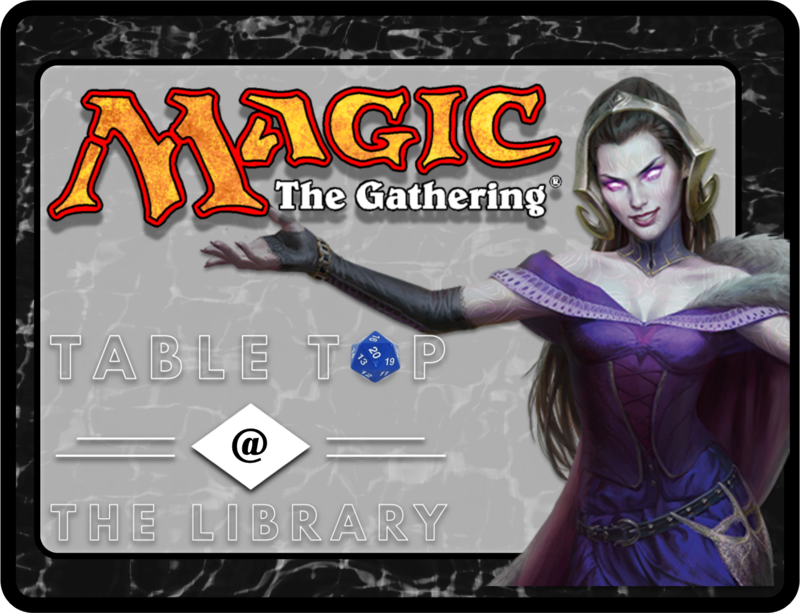 This month we will be playing MTG, Magic the Gathering. All player levels are welcome! Whether you have been playing since Alpha or don’t even know what a land is. Feel free to bring your killer decks from home or use one of ours! Register with friends or meet new challengers!